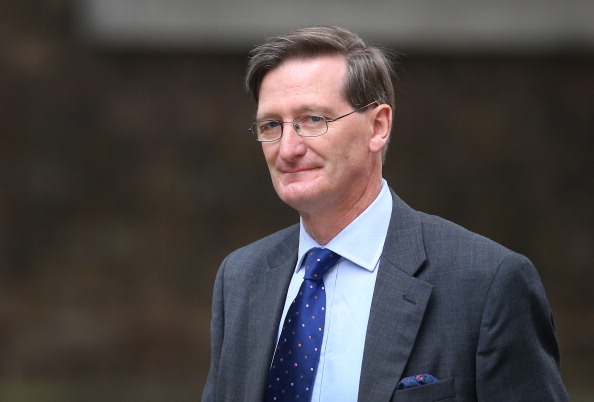 Dominic Grieve MP, who has tabled an amendment to make Brexit debates easier in the House of Commons, says members of his constituency who warn of social unrest if no deal Brexit doesn’t happen are “immune from the consequences”. Speaking to Julia Hartley-Brewer on the talkRADIO breakfast show, Mr Grieve said some members of his constituency might actually be hoping for social unrest, rather than fearing it. “Brexit has been a divisive process and I do worry about it,” he said, responding to Hartley-Brewer’s question about whether faith in democracy would be undermined if Brexit was stalled. “I want to try and maintain social cohesion in this country. A Brexit we deliver that nobody wants, whether it’s the Prime Minister’s deal which is supported by about 20% of the population or a no deal Brexit that is catastrophic - I think is rather likely to cause social unrest. “I also note that a lot of people who write to me and say, ‘if you don’t allow a no deal Brexit to happen there’ll be social unrest’, I look at what sort of people they are, and they strike me in many cases as being immune from the consequences. “A lot of people in my constituency are very wealthy. I’m a little bit puzzled as whether they think the thing they’re going to do is go down into the street and start chucking bricks. It was reported that Mr Grieve was tabling an amendment that would mean only 300 MPs - including ten Conservatives and five from other parties - would need to support a motion to see it put to the top of proceedings the following day. That would in theory make it easier for MPs to table amendments to Theresa May’s Brexit ‘Plan B’. But Mr Grieve said this was not in fact that nature of his amendment. “It doesn’t include the section about 300 MPs being able to table a motion,” he said. “I’ve gone for a different model which allows the Chairman of Ways and Means [a senior official in the Commons] to table a neutral motion for debate, and then people can table amendments to that. Hartley-Brewer asked whether there had been “collusion” between parliamentary clerks and the Speaker “that goes far beyond the normal seeking of advice on parliamentary procedure”. “That’s complete rubbish,” Mr Grieve responded. “You’re in no position to say that at all.” said Mr Grieve. “You have no idea, and I have no idea, what the public are thinking about Brexit, what their majority view might be, or whether they have one particular form of Brexit they might want.